Drawing on Monash Gallery of Art’s collection of Australian photographs, Photographic Abstractions highlights the work of 33 Australian artists who use photography to achieve abstract effects. Ranging from modernist geometric abstraction and the psychedelic experiments and conceptual projects of the 1970s, through to recent explorations of pixelated pictorial space, this exhibition surveys a rich history of abstract Australian art photography. 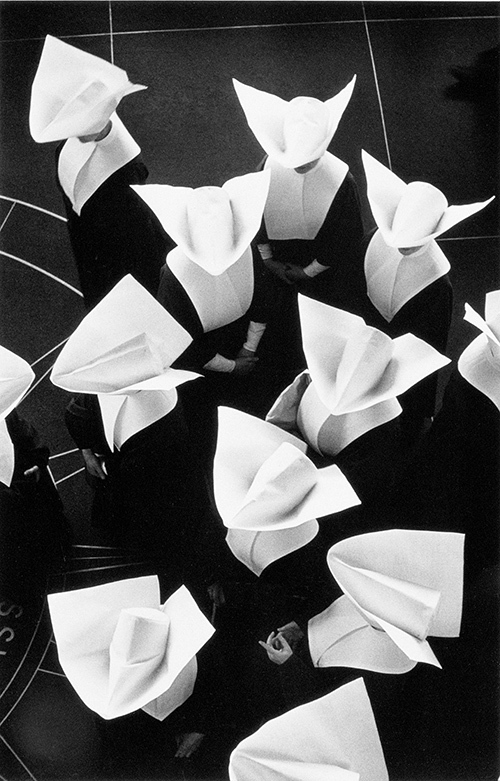 Image: David Moore, Sisters of Charity, Washington DC (detail) 1956, gelatin silver print, 30.5 x 19.5 cm. Monash Gallery of Art, City of Monash Collection, acquired 1980. MGA 1980.03. Courtesy of the Estate of David Moore.